This showcase is open from Saturday 27 April, 7pm (NZ time) through to Friday 3 May 8pm (NZ time). But you can browse the photo album right now by clicking on the photo above or copying the following link to our facebook page into your browser. http://www.facebook.com/media/set/?set=a.510933808942315.1073741826.119025698133130&type=1&l=45a39e4c4a. No purchasing till we open though!! 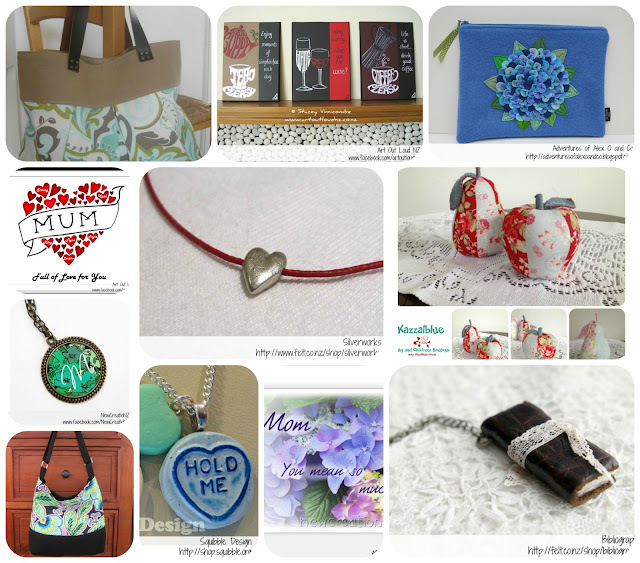 We hope you will all support handmade this Mothers Day.